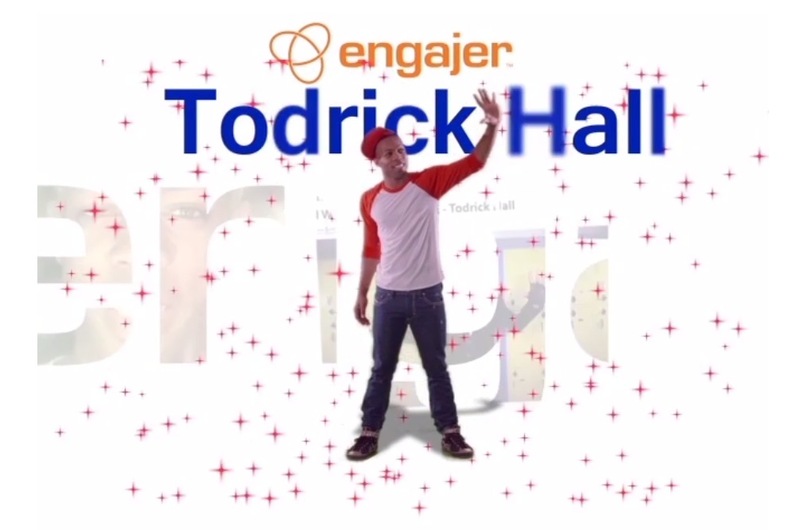 Become an engajer Superstar like Todrick Hall! Over the past year or so, we’ve featured many famous celebrities in several engajers, but now it is your turn to showcase your talents to the world! Just click on this link to get started for free! One celebrity in particular who has used engajer to promote his talents to a rousing success is Todrick Hall. Following his appearance on American Idol Season 9, Todrick has been wowing the masses with his unique blend of vocals, comedy, and dance moves through impromptu street performances, flash mobs, and musicals. Before his engajer was created, Todrick’s videos and information were scattered all over various websites and social media platforms. Ever since his engajer has been implemented, he’s had a one stop shop to display his most memorable performances, bio, FAQ, as well as a platform to keep track of fan interaction. engajer serves as a catchall service that more effectively broadcasts his message than social media platforms or websites can on their own. Best of all, you don’t have to be a world famous performer yourself to be an engajer superstar. All you need is a little bit of creativity and some personal flair, and you are on your way to expressing yourself to the world! Sign up today!